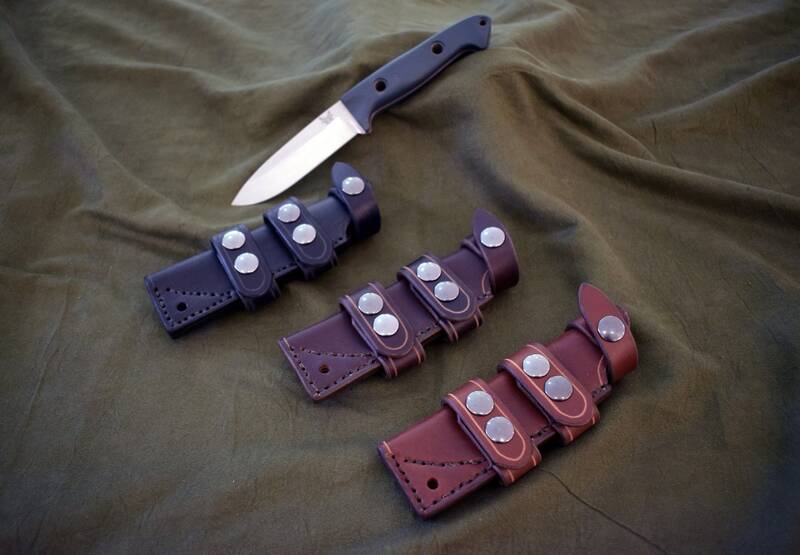 The design is inspired by the standard sheath from Benchmade, but features two straps to carry the knife "scout style". 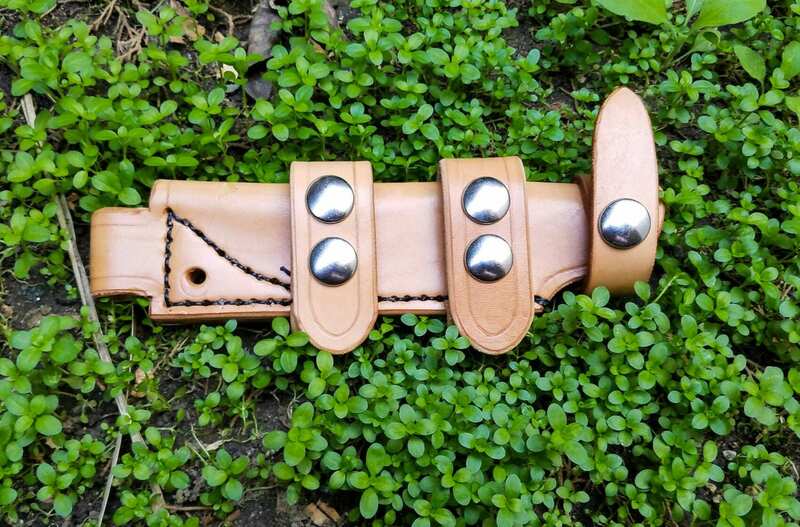 It is made out of 8-10 ounce latigo cowhide, and has a retention strap with snap closure. 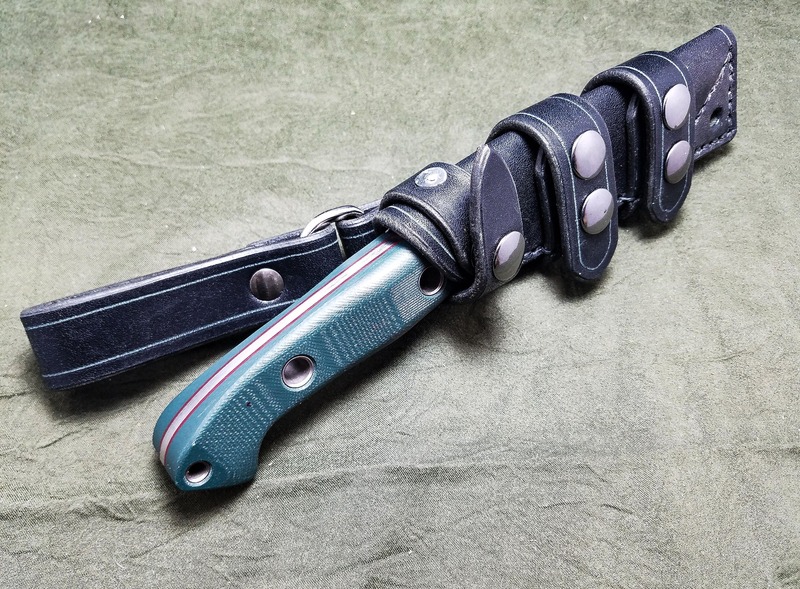 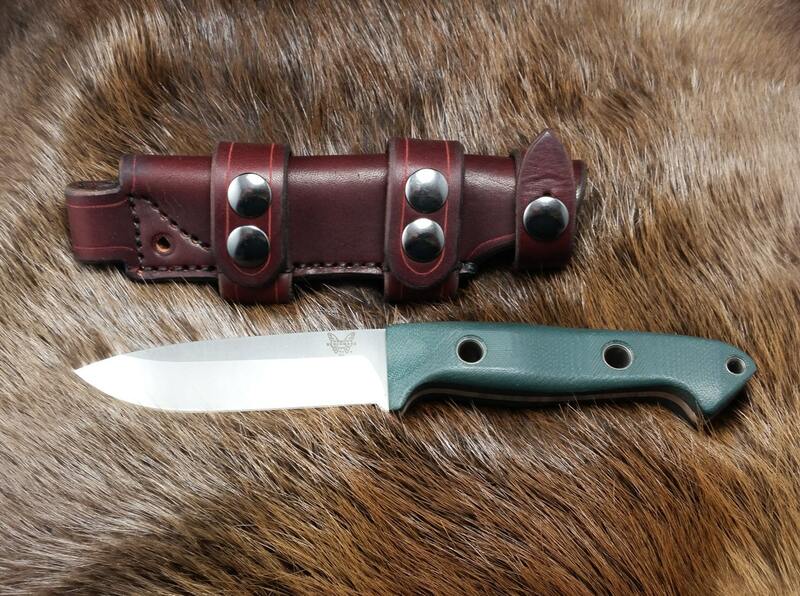 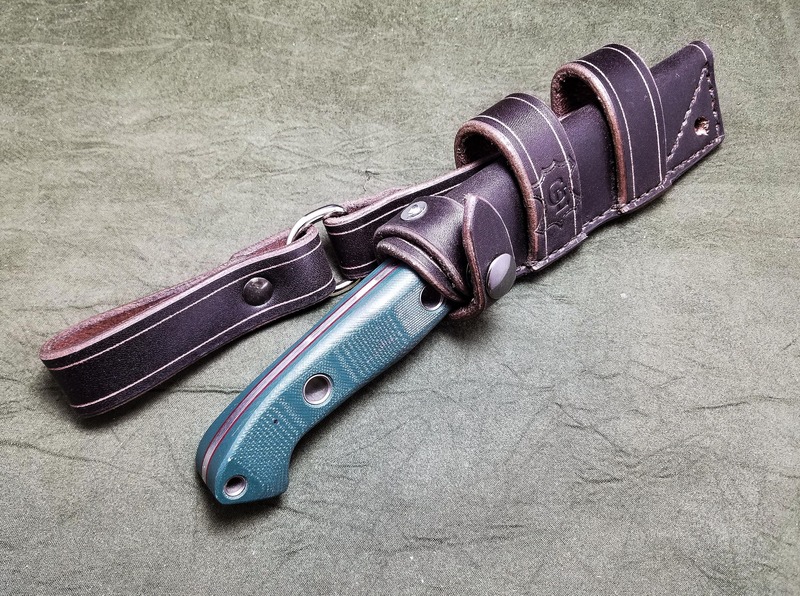 The sheath can have an integrated loop for a fire steel at the end of the sheath, and both of the scout straps have two snaps, for added security. 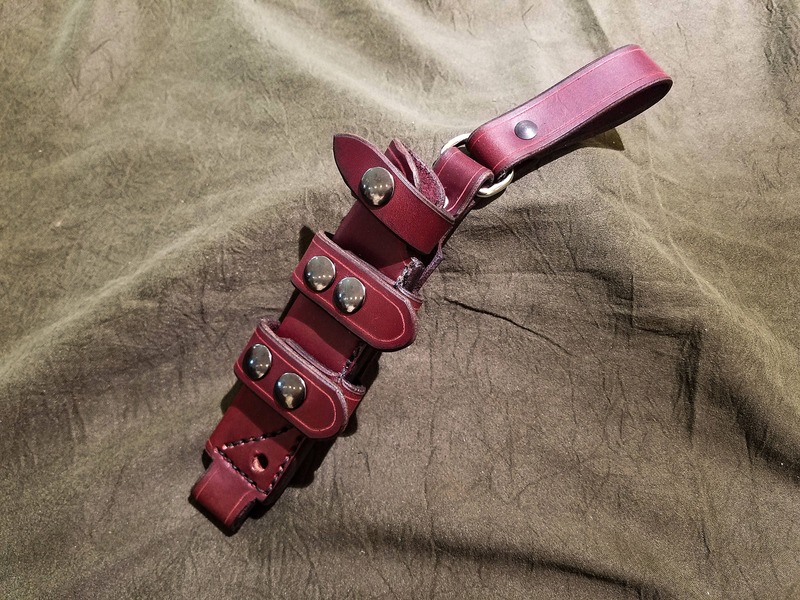 You also have the option of adding one of two different leather dangler loops and D ring which attached to a strap that the scout straps thread through to carry the knife vertically. 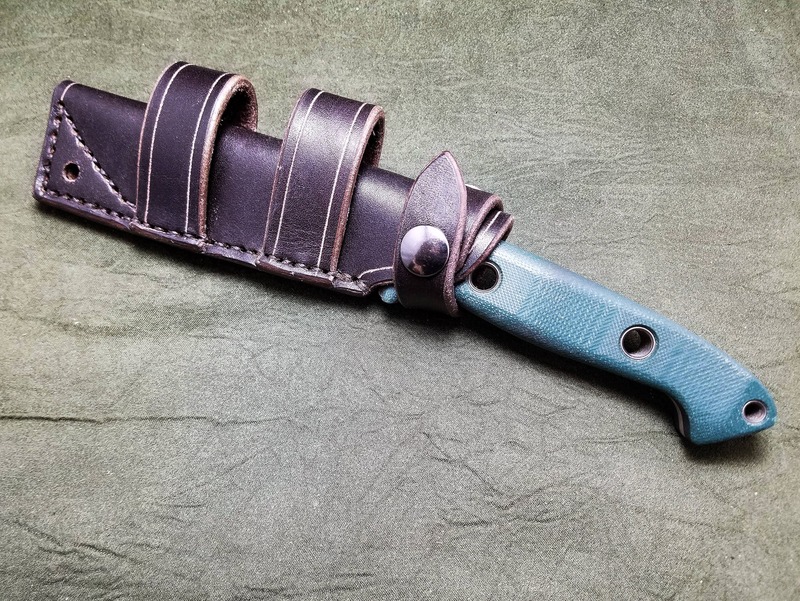 If you're looking for a Kydex sheath for the same knife, or a leather sheath that suspends the knife vertically, check out my other listings. 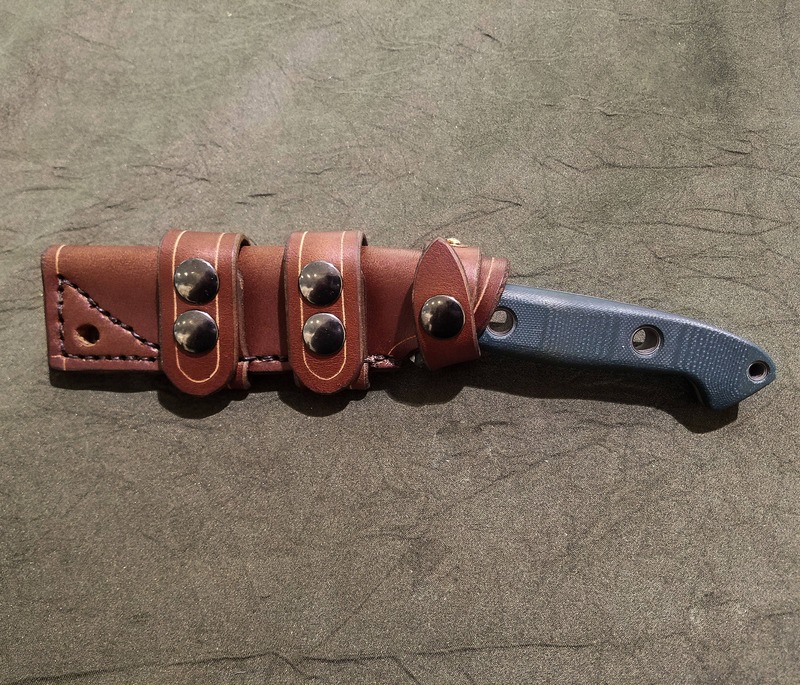 My son was looking for a horizontal carry and I’d seen this when shopping for a kydex sheath for myself. 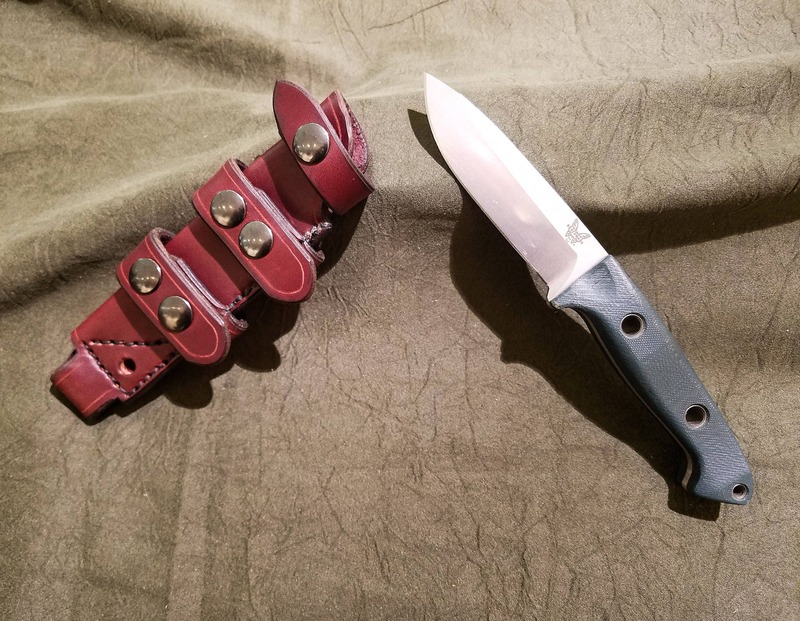 I snagged it and he loves it - He is an avid outdoorsman and loves the sheath - says this is much more comfortable than the sheath that came with the knife. 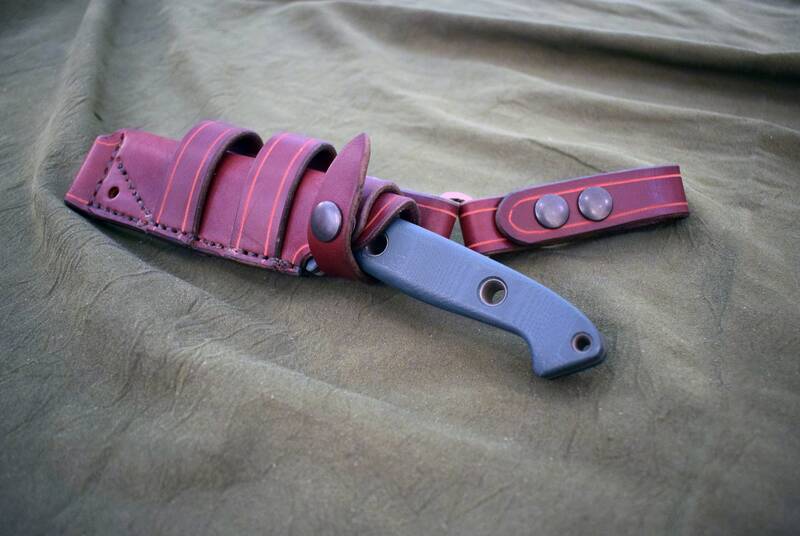 Many thanks to Allen, et al; they do excellent work.